If it’s a good experience, your customer remains happy and satisfied but if it’s a bad experience, the customer will refrain from coming back to purchase the product or to your site, while they will not hesitate to share their bad experience with others. User Experience represents the perception that is left in a person’s mind after a series of interactions between people and devices which is the case when it comes to information technology and the revolution of the internet. The first requirement for a successful user experience which will allow conversion is to meet the exact needs of the customer. Next in line of a successful UX is the simplicity and attraction it offers when a customer makes use of it. A true and proper user experience should go beyond giving customers what they want and some checklist features. Talking from a web content writer’s point of view, in order to provide a high-quality UX, you should consider merging a list of services from flawless programming skills, marketing tactics, graphical designs and interface designs. An important fact that you should remember – It is vital that you know the difference of the complete user experience from the user interface (UI). You should also know that UI is an extremely important part of the design of a website too. A website may have the most advanced and innovative interfaces that you could imagine but if the user experience is poor, if the user doesn’t know what to make of the website, then you would have wasted your time and money which is not a good way to start off a business. You should also know the difference between user experience and usability. According to the many definitions of usability, it is a quality attribute of the user interface which includes whether the system is easy to grasp, efficient to use, fun and at the same time pleasant to look at. However, the complete user experience is a far broader concept. 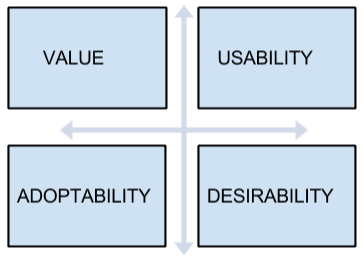 Therefore, to help define the depth of user experience, there is a simple and conceptual chart that describes the 4 main elements of which I think are fundamental and make up the total user experience. Let us talk about these elements descriptively. As mentioned earlier, people sometimes use the term “usability” to refer to all parts of the total user experience which in reality is only a sub category. Usability is mainly how users are able to complete their intended tasks using a product or service. However, there are issues that hinder a user’s ability to not complete tasks. A product or website should always have a call-to-action or contextual cue so that the user can immediately get on to the next task. 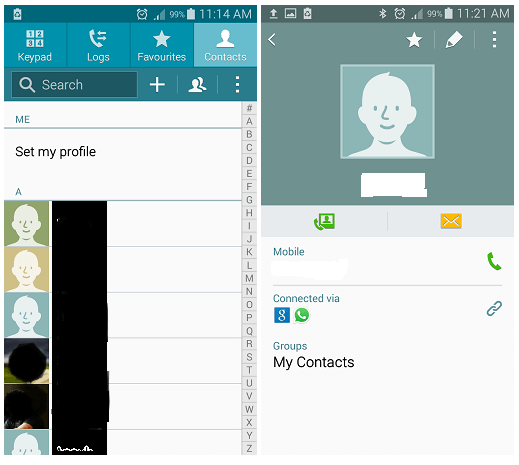 A simple example of a possible usability issue is – If you are dialling a number from a smartphone, when a user taps on the contacts, a list will pop up on the screen. But his immediate need is to dial the number of the contact. There are a few steps involved once you locate your contact since you have to tap on the contact and then tap on the call icon again to actually make the call. Not that people are complaining, but if you are thinking of proper usability tactics, a simpler solution would be to probably have a long key press or double tap to call the contact immediately rather than going on to a another screen. This is a simple example about frustrations that people might be facing when using software with usability issues. Usability is not only about user engagement and visual appeal. Other intentions such as learning, discovering, finding, readability are also included in this category. Since usability itself is a vast topic, there are a large number of professionals who excel in human / computer interaction while devoting their time on improving digital product and website user experiences. Value – Does your website or product provide value to users? I think that “value” is one of the most critical aspects of user experience other than usability when it comes to a successful business. There are a number of products that offer only a good usability but fail to enjoy success in the marketplace. Examples include traditional mobile phones giving way to smartphones, and mobile apps and mobile friendly websites dominating the PC friendly website. Customers are looking for more options and easy ways to surf the web more often and whenever they want to, instant messaging apps, GPS services etc. These all together form the “value” aspect of the total user experience. What do you think drives a product’s or website’s value to users? I think it’s the proper alignment between a product or website features and a user’s needs. When features are designed to support a user’s need, users will automatically consider the product to be valuable. Therefore, you should keep in mind that the key drivers of value are a product’s functionality and its features. Adoptability – Is the product or website easy to start using? This element has a lot to do with design and workflows. Adoptability also relies in aspects such as brand perception and credibility. Products or content that does not look authentic or that is associated with an unknown brand will certainly have problems when drawing users. Apple, Microsoft and many giants in the IT and technological fields have managed to garner strong customer bases due to their brand name and easy adoptability. A fact that you should remember is that adoptability is closely related to usability. In order to improve adoptability, various usability techniques are used. Adoptability is simply the stage when a user has not yet used a product or in the early stages of starting to use one. Usability on the other hand is relevant when a user has already begun using a product. Desirability – Is the product or website fun and engaging? Desirability which is an element of User Experience relates to emotional appeal. There are products that are easy to use and useful to people but are failures in the market. A fine example would be the traditional MP3 player vs. the iPod. A large part of the desirability element relates to innovative visual design. However, this trait would mean nothing if it is not within the context of a user’s task. Therefore, desirability is not only about attractive graphics and sleek designs, but it is also about engaging users in relation to the intended use of the product or website. An example is, Microsoft Word is desirable to me since I’m a content writer. It doesn’t look pretty but it’s desirable since it helps me to finish my task. Now, since these elements have been discussed further, if you are interested in UX, you can easily identify these elements and work along this framework. Why not give it a try? I hope this blog about User Experience was insightful.